If you recall, I designed an animal alphabet called Living Letters based on the Adobe font Critter that I designed 20 years ago. 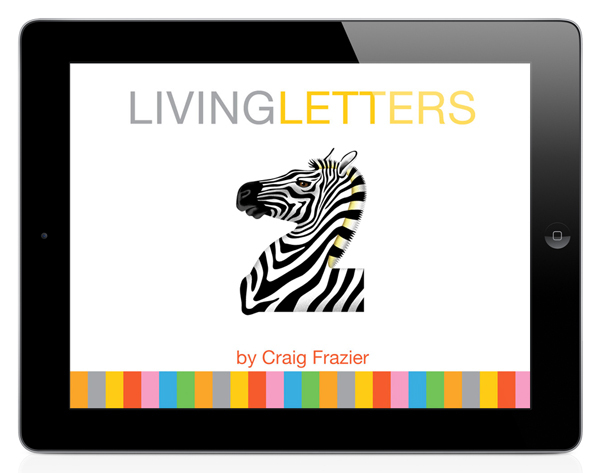 Well, with the brilliant help from the folks at Daily Interactive Networks, we have just released Living Letters for the iPad! I can’t explain it but there is something totally magical about touching the screen and watching a big fat letter turn into a full color critter. You’ll find favorites but I’m partial to the raccoon, the otter and the zebra. It has a sweet little voice that pronounces the animal name, if you choose to turn it on. Also included are a game and a typing keyboard so you can type and send your own words or names. If you upload it, submit your comment no only on the iTunes store but here on 36pages, I’d love to hear what you think!